Home » AVS Resources Center » WELCOME BACK STUDENTS!!! We the entire family of Adonai Vine School want to wish a very happy and prosperous new year to our dear parents and students. We also welcome you back to school for the second term of our 2018/2019 academic year. This year shall be a year filled with great testimonies for all of us in Jesus name Amen. 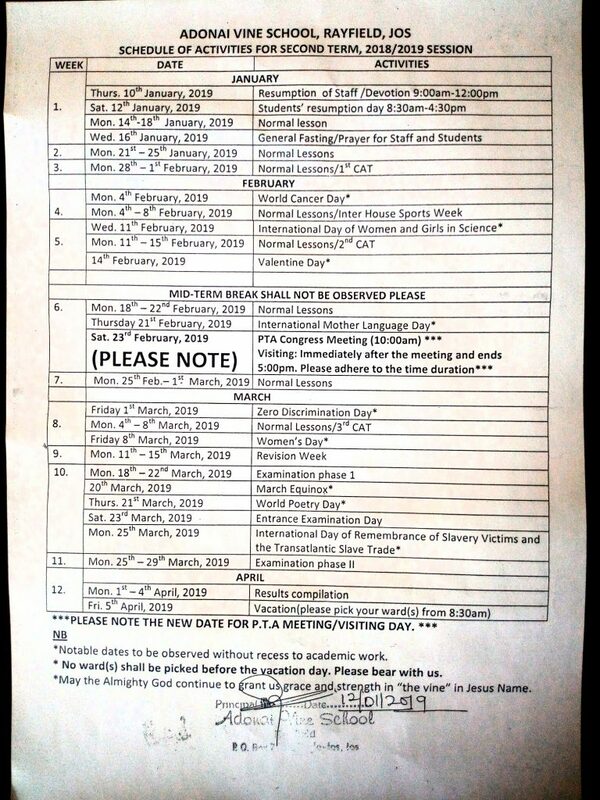 Please all parents should go through the attached file to see all scheduled activities for this second term, God bless you.